SINGAPORE — With the U.S. government pledging to resume manned missions to the Moon, and eventually send a mission to Mars, Cold War-style competition over space exploration is re-emerging — between China and the U.S. this time. China hopes to make its first manned lunar landing within 15 years, around six decades after the last American walked on the moon in 1972. But China is not as far behind as those dates suggest. It hopes to make the first-ever landing on the dark side of the Moon by the end of 2018. This feat eluded the U.S. and Soviet Union during the heyday of their Space Race from the late 1950s to the mid-1970s. Other Asian counties, notably Japan and India, have their own space programs. But China appears to be leading the way. SINGAPORE — If China and the United States continue their charge into a full-on trade war, few regions will be as vulnerable to the resulting economic turbulence as Southeast Asia. That’s why the 10 governments of the Assn. of Southeast Asian Nations meeting in Singapore this week are hashing out ideas about how the region can duck any shrapnel if the world’s two biggest economies keep firing protectionist salvos at each other. 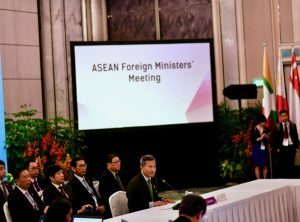 “Considering that China and the U.S. are ASEAN’s first and third trading partner respectively, the early exchange of blows between Washington and Beijing would be watched nervously across all ASEAN capitals,” said Tang Siew Mun, head of the ASEAN Studies Centre at the ISEAS-Yusof Ishak Institute, a Singapore-based research organization. YANGON — China’s media took little notice of the visit of Scottish First Minister Nicola Sturgeon to Beijing, Shanghai and Hong Kong this week. As Sturgeon met with Chinese political and business leaders, all parties were careful to avoid uncomfortable issues, such as Scotland’s relationship with post-Brexit U.K., aware that secession is a particularly touchy subject with Beijing. 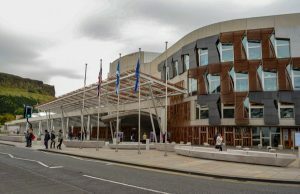 There was just a two line mention on Xinhua news sites regarding Sturgeon’s meeting with Chinese Vice Premier Hu Chunhua in Beijing on April 9, discussions that Scotland’s leading independence advocate depicted as “very constructive.” The English language version of The People’s Daily, the official newspaper of the Chinese Communist Party, did not mention the visit. SIEM REAP — For an art production house based in North Korea, whose usual stock-in-trade is nationalist-communist propaganda, constructing a museum in Cambodia to celebrate the grandeur of the Khmer Empire might seem a surprising project. 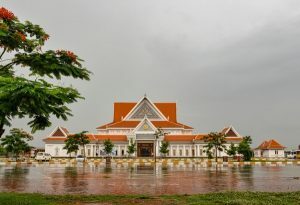 While North Korea may be on the verge of a rapprochement with the U.S. ahead of the proposed meeting between its dictator Kim Jong Un and President Donald Trump, recent sanctions imposed on the country in response to its missile tests could raise questions about the status of the Angkor Panorama Museum, which opened in late 2015 at a cost of $24 million and sits on the doorstep of the vast Angkor temple complex. When the United Nations Security Council enacted sanctions against North Korea in 2017 in response to its missile tests, it said that states “shall prohibit, by their nationals or in their territories, the opening, maintenance, and operation of all joint ventures or cooperative entities, new and existing, with DPRK entities or individuals.” That suggests Cambodia, other than requesting an opt-out from the council, would be required to close the North Korean-built museum or ensure that it is now fully locally owned. “Cambodia is required by UNSC sanctions measures to close the joint venture or request an exemption,” said William Newcomb of the U.S.-Korea Institute at Johns Hopkins University. JAKARTA — East Timor is a tiny country, with a land area around the same as the North of Ireland and a population of 1.3 million people. Its existing oil and gas reserves will be depleted in less than a decade, and with little sign of growth in other parts of the economy, it badly needs this deal with Australia How much money it ends up getting will depend on fluctuating oil and gas prices and on what subsequent deal is worked out to extract and process the underwater oil and gas. The companies with rights to drill in the field have floated, pun intended, the idea of a floating platform in the Timor Sea to process the gas there. But Australia wants to pipe to Darwin and use existing facilities, which would mean an 80% revenue cut for East Timor. 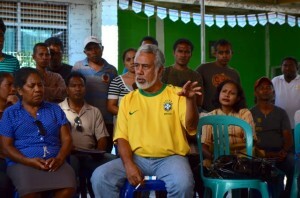 The Timorese want pipe to East Timor and process there, giving a Dili 70% revenue cut but potentially allowing the Timorese to develop spin-off industries that could modernise its economy. 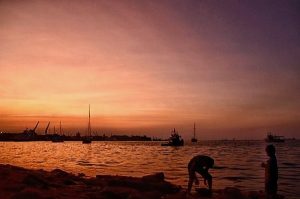 JAKARTA — Australia and East Timor on Wednesday signed what Canberra’s foreign minister Julie Bishop called “a milestone” agreement on a maritime boundary between the two countries. The treaty ends a long a bitter dispute between the neighbouring countries and paves the way for exploitation of billions of dollars in gas and oil under the Timor Sea – with at least 70 percent of the revenue to go to impoverished East Timor. The agreement was also historic because it marked the first successful conclusion of “conciliation” negotiations to settle maritime differences under the UN Convention on the Law of the Sea. How much money the country, a half-island nation of 1.3 million people who are among the poorest in the world, ends up getting depends partly on what deal is worked out to drill and pipe the underwater gas. 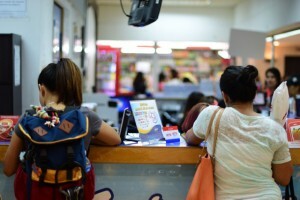 JAKARTA/SINGAPORE — A year ago two young female migrant workers in Indonesia, including 26 year old Indonesian Siti Nurbaya, were cast at the center of an international murder mystery when they were arrested by police for their alleged role in the audacious, Le Carré-esque assassination by poisoning of Kim Jong Nam, the half-brother of North Korean leader Kim Jong Un, which was carried out despite the usual bustling morning crowd at Kuala Lumpur’s international airport. Preying on the women’s perceived vulnerability as relatively-poor migrant workers at the margins of society, defense lawyers contend that North Korean agents duped their clients into unwittingly carrying out the murder by bluffing they were being recruited for a series of made for TV pranks. As the trial of Nurbaya and her alleged accomplice from Vietnam rolled on last month in Shah Alam near Kuala Lumpur, another case was emerging that highlighted the perils facing migrants in Malaysia. Adelina Sao died in a Penang hospital on February 11 after she was found with head injuries and infected wounds on her limbs, succumbing after two years in Malaysia as one of around 400,000 foreign maids working in the country. 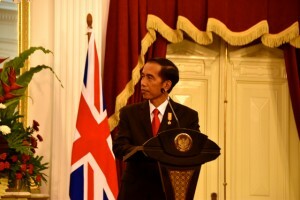 JAKARTA — Even as the terms of its exit from the European Union remain undecided, the U.K. looks set to take on Brussels over access to Asian markets, with Indonesia’s growing economy set to be the first, and potentially crucial, battleground. While Britain tries to lay the groundwork for future trade agreements, the bloc it is leaving has already brokered a number of deals across the region. 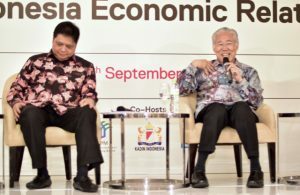 Last week, the EU and Indonesia held the fourth round of negotiations over a proposed free trade deal known as the Indonesia-European Union Comprehensive Economic Partnership Agreement. As those discussions were taking place in Indonesian President Joko Widodo’s hometown of Solo in central Java, the U.K.’s Foreign and Commonwealth Office announced the appointment of Richard Michael as Britain’s official export finance representative in Indonesia. JAKARTA/LONDON — British engineers could be handed lucrative contracts with Indonesia to regenerate its ailing road and rail networks under a government push to boost trade and diplomatic ties with Southeast Asia after Brexit. The move would pit British firms against Chinese and Japanese giants who are vying for influence over Indonesia’s growing economy, in one of the first tests of the UK’s post-Brexit “Global Britain” push. “We are trying to get a greater slice of the action,” Moazzam Malik, the British ambassador in Indonesia, told the Telegraph as UK officials unveiled plans to increase business ties. JAKARTA — Indonesia is the latest Asian country to face American trade curbs after the U.S. Department of Commerce said it planned to slap anti-dumping duties of 92.52% to 276.65% on biodiesel imports from the archipelago. Argentina, another biodiesel producer, was also targeted by the Feb. 21 announcement, after U.S. businesses complained that they were being undercut by unfairly subsidized fuel from both countries. The commerce department said that exporters from Argentina and Indonesia respectively sold biodiesel in the U.S. at 60.44% to 86.41% and 92.52% to 276.65% below what it deems fair value. The U.S. International Trade Commission will make a final decision on April 6 on whether the imports have hurt U.S. producers. If the ruling is upheld, the duties recommended by the commerce department will effectively price Indonesian biodiesel out of the U.S. market.